WASHINGTON (CNS) — As November began, the people of Puerto Rico still faced “an unprecedented level of need” because of hurricanes Irma and Maria, which devastated the island in September, said the chairmen of two U.S. bishops’ committees. Irma hit Puerto Rico Sept. 7 and Maria hit Sept. 20, creating even more destruction than the first hurricane. To date, more than 70 percent of Puerto Rico is without electricity and running water. Other islands, including the U.S. Virgin Islands, are also facing challenges in their recovery. Since those statements, little has improved in Puerto Rico, said Bishop Frank J. Dewane of Venice, Florida, and Archbishop Paul D. Etienne of Anchorage, Alaska. They issued a joint statement Nov. 2 as the chairmen of, respectively, the U.S. Conference of Catholic Bishops’ Committee on Domestic Justice and Human Development and the Subcommittee of the Catholic Home Missions. 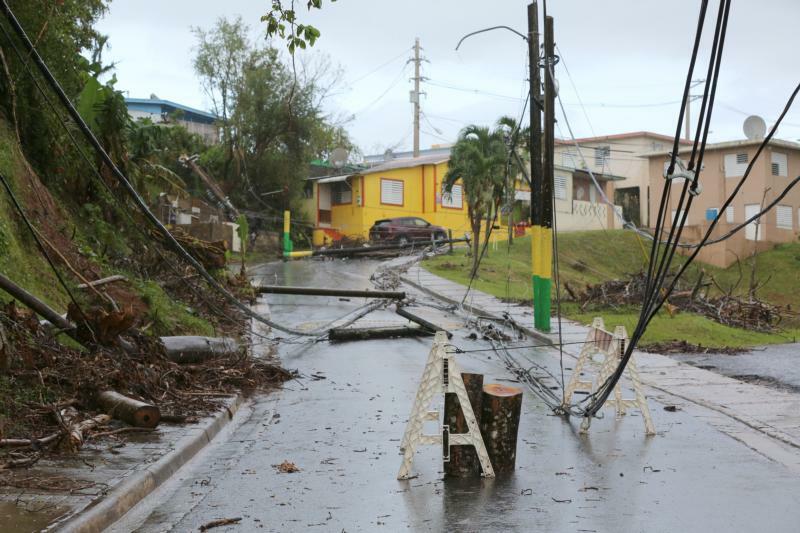 “The island is in the midst of a public health crisis, and food security, health care access, and sustainable alleviation of the island’s debt are challenges that must be resolved in a comprehensive way,” Bishop Dewane and Archbishop Etienne said. “These will require great effort and significant contributions of financial resources and material assistance,” they said. “They bear little responsibility for the island’s financial situation yet have suffered most of the consequences. Now, the recent devastation has made the circumstances, especially for those in need, unbearable,” they said. “We urgently beseech all Catholics in the United States to join with all people of goodwill in supporting these crucial initiatives at this critical point in time for the people of Puerto Rico,” they said.